Stop in and get a bite! 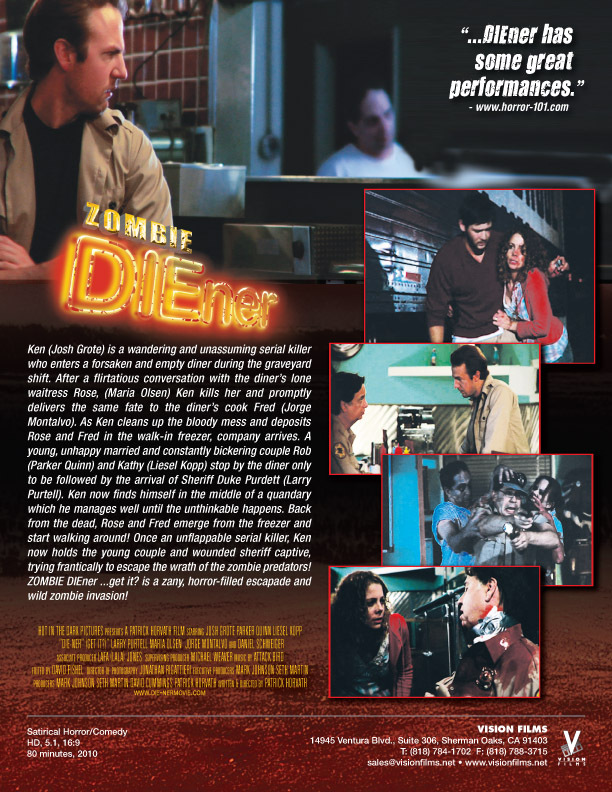 Ken (Josh Grote) is a wandering and unassuming serial killer who enters a forsaken and empty diner during the graveyard shift. 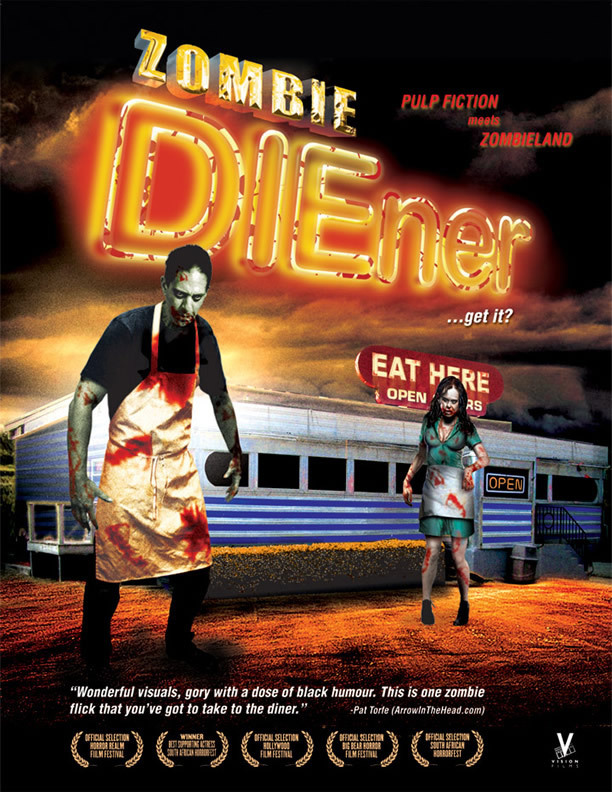 After a long conversation with the diner’s lone waitress Rose, (Maria Olsen) Ken kills her and promptly delivers the same fate to the diner’s cook Fred (Jorge Montalvo). As Ken cleans up the bloody mess and deposits Rose and Fred in the walk-in freezer, company arrives. A young, unhappy married couple Rob (Parker Quinn) and Kathy (Liesel Kopp) stop by the diner only to be followed by the arrival of Sheriff Duke Purdett (Larry Purtell). Ken now finds himself in the middle of a rousing game of cat and mouse which he manages well until the unthinkable happens. Back from the dead, Rose and Fred emerge from the freezer and start walking around! Once an unflappable serial killer, Ken now holds the young couple and wounded sheriff captive, trying frantically to escape the zombie predators! DIEner ...get it? is a zany, horror-filled escapade and wild zombie invasion!